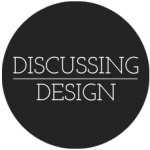 Avoid Problem Solving For Better Critiques | Discussing Design - Paying attention to the details of design critique. People have a tendency to jump to a solution before they fully articulate the problem that they’ve found. Design Researchers see this all the time in usability studies, interviews, etc. Participants frequently make statements that begin with phrases along the lines of “It should do…”, “I wish it did…” or “What they should have done is…”. A skilled researcher knows that this is an opening to dig deeper. Why should the design be different? What problem does the change they’re suggesting solve? What is it that the current design isn’t doing well enough? Problem solving in a critique is also a frequent occurrence. It seems to be a common trait of people who are involved in the design, development and overall creation of things, whether they be websites, products, services, or whatever. We can’t help but try to solve problems. It’s just the way our brains work. But in the context of a critique, problem solving and jumping to solutions can be detrimental for a number of reasons. Good critique comes from mutual understanding. The primary goal of any critique should be improved understanding, specifically the improved understanding of the creators on how the design choices they’ve made so far are working to achieve or not achieve their goals. In order for this to happen, the creator of the work needs to be clear on exactly how their design isn’t meeting a goal or abiding by a principle. If a participant starts describing potential changes to the design, the creator(s) could try to deduce the problem or issue that the participant is trying to address. But this means they’re making certain assumptions, and we all know what that say about assumptions. Additionally, looking at it from the perspective of collaboration, not only is it important that the creator understand how the current design isn’t meeting goals and principles, but it’s important for the entire team to. Productive collaboration comes directly from agreed upon goals, shared understandings and discussions around them. If one participant or team member has observed a challenge with the current design, but hasn’t shared that with the team, it can lead to a breakdown in understanding as discussions continue. The brain can’t analyze and problem solve at the same time. It just can’t. Think of the brain as having a toggle switch; in one position it’s in analysis mode, in the other it’s problem solving, creating. Our brains switch back and forth frequently between these two. For some people faster and more frequently than others. But in a critique you’ve got a room full of people, all with their own brains, and you’ve got to try to coordinate that toggle in each of them to the best of your ability. As someone starts describing their new idea or change, you’ll now be dealing with a mix of individuals who are either trying to envision what’s being described, continuing to analyze the current design, trying to understand why the participant is describing changes, or working to come up with their own solution to the problem they think is being addressed. And this all leads to a breakdown in understanding and some of the core of your collaborative environment. It can lead to premature or short-sighted ideas. Design isn’t easy. Designers often deal with complexities that stem from interrelations between content, functionality, constraints and more. Often times when teams start to make changes or talk about new ideas in the context of analyzing a small portion of an existing design, they fail to take into consideration all of these other complexities and down-stream impacts. When a team starts making design choices during a critique, many times what we’ve observed is a team that leaves the critique thinking they know and understand the new design and where it’s going. But the designer eventually discovers new challenges or conflicts that arise from the changes they’ve made, and needs to readdress those with the team, so no real progress gets made. It’s just not the point. As mentioned earlier, the primary goal of a critique is improved understanding. Not only is it the goal of critique, but it’s a critical step in the design process, an iterative structure in which we analyze and observe, synthesize what we learn, and create or refine a solution based on our new understandings. Critiques are held to facilitate that analysis step. By jumping into a creative, problem solving mode to quickly we defeat the purpose of the critique and cut short our ability to analyze. It’s going to happen, so what can you do? I guarantee it’ll happen. Unless you’re working with an entire team of very experienced critics, and even then, just because it’s our nature, it’s still likely to occur. So you’ve got to be prepared for it. What can you do? The role of facilitation in critique, or any kind of meeting intended to lead to progress, is a big one. When you hold a critique you need to be ready to facilitate the session in order to keep it focused and productive. As a facilitator, when someone starts problem solving, you should approach it just as a good researcher would; take it as an opportunity to dig deeper. Find out exactly what the challenge or problem is that the person sharing their ideas is trying to solve. Ask them directly or use techniques like the 5 Whys to get at the core of what they’re trying to do. Once you do, check with the rest of the participants to see if they share the same observations. Lastly, don’t cut off the individual and make them think that their idea isn’t wanted. That’s a surefire way to turn off someone from participating in a critique and being collaborative overall. Not to mention that it can make you look like a total jerk. Instead make sure that you’ve captured the challenge in your notes, and that you also take a few notes about the potential solution and communicate to the participant that you’ll follow up with them to explore their idea further. Then return focus to the critique. Sometimes big issues or challenges will come up in a critique. Something that is so big that, until it’s resolved, it seems like no other progress can be made. In these situations it’s important to remember that you always have the ability to change course. If you and your critics agree that solving the challenge you’ve just uncovered is more important than further analyzing the design in front of you, you can stop the critique and focus the rest of the session on the new challenge. It could be that you further explore the challenge with your team to get a better understanding of how it might be addressed and the complexities or constraints that it might introduce. Or perhaps you’ll do some collaborative idea generation. No matter what you do, it’s important to make sure that you clearly communicate that you’re changing course. The purpose of your meeting has changed. You’ve got new goals for this session now. You’ve got to keep everyone on the same page, otherwise you’re likely to have at least one, if not more people, leave the room wondering what the hell just happened. Was progress made? Did anything get solved?